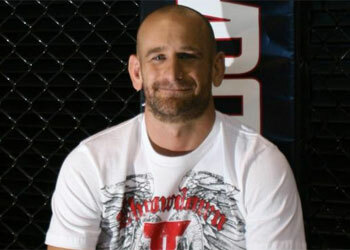 Greg Jackson currently trains two UFC champions, however today the MMA guru will be defending something much more valuable than a title belt, his reputation is at stake as he presents his case in front of the Nevada State Athletic Commission. Jackson is looking to strengthen his case to the NSAC regarding the alleged greasing incident at UFC 94. They already submitted a 17-page response to Penn’s request for the Commission to conduct a “comprehensive investigation” on the matter. BJ Penn and his camp filed a formal complaint with the Commission last Wednesday, claiming that Georges St-Pierre’s cornermen, namely Muay Thai coach Phil Nurse, applied Vaseline to his body during the intermissions before the 2nd, 3rd and 4thRounds. Although Commission agents were alerted prior to the fight regarding the potential of greasing in GSP’s corner, even though officials were able to wipe the welterweight champion down with towels before the 3rd and 4thRound began, Penn feels that it still played a significant role in the outcome of the fight. Penn’s complaint requests for the Commission to hold a formal hearing seeking a laundry list of actions, including fines to St-Pierre, head trainer Greg Jackson, Muay Thai coach Phil Nurse, and unnamed parties for up to $250,000, suspend the licenses of GSP, Jackson, Nurse, as well as the unnamed co-conspirators, change the result of the bout to a “No Contest,” and require St-Pierre to undergo a pre-bout shower before future fights to make sure no illegal substances exist on his body. It is highly unlikely that the NSAC would overturn the convincing win to a No Contest, however if Jackson can’t smooth-talk the Commission, it is possible, however additional hearings which would include the two fighters, would have to be held. However, NSAC executive director Keith Kizer doesn’t feel that it will be necessary. It has been 45 days since GSP defeated Penn, and Jackson is grateful that he can finally put this issue behind him, and hopeful that things will end in his favor.